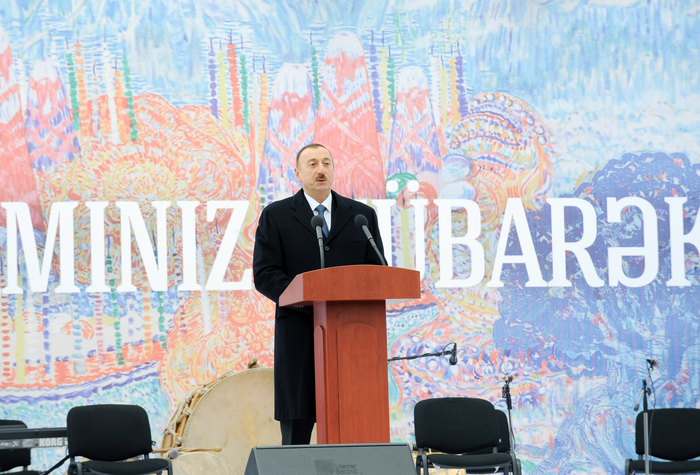 President of Azerbaijan Ilham Aliyev, first lady Mehriban Aliyeva and vice president of the Heydar Aliyev Foundation Leyla Aliyeva have today joined nationwide festivities on occasion of Novruz holiday. The most glorious holiday of the Azerbaijani people was inherited from ancestors and is the best reflection of Azerbaijani national spirit and memory. 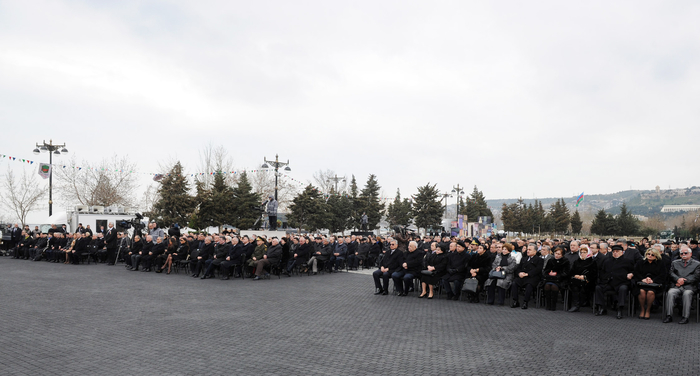 The nationwide celebrations were held in Baku on 19 March. The square outside the Maiden Tower was crowded again. Surrounding buildings were decorated with colorful posters and the symbol of Novruz, a huge samani, adorned the square. Novruz is an old holiday which reflects the culture, national and spiritual values of Azerbaijani people and popularizes them in the world. 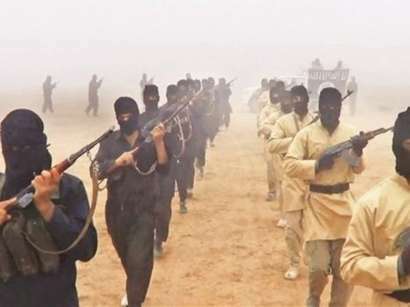 It is hard to imagine a second such holiday that would express the spiritual world, the national mentality and ideology, the ancient mythical beliefs, folklore and national identity of our people to the same extent as Novruz. 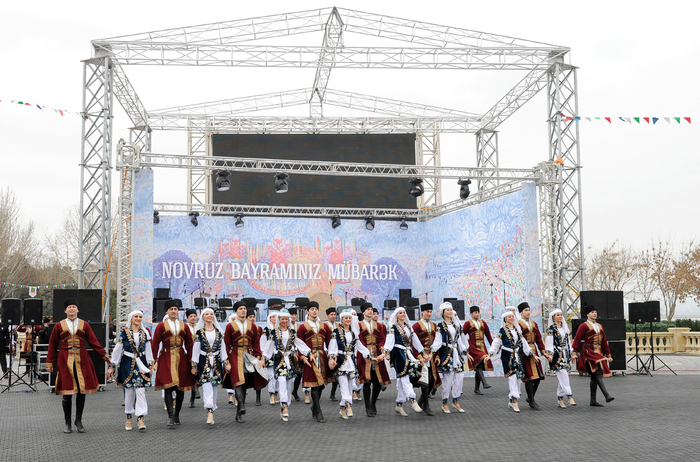 Novruz is the holiday of the entire Turkic world, but Azerbaijan celebrates it on a grand scale. The greatness of Azerbaijani nation rests in the fact that no prohibitions have made it forget Novruz. Even in the most difficult times Azerbaijani people managed to protect and preserve the holiday, their national customs and traditions by carrying them through the years to the present day. Even in his first period of leadership in the republic, great leader Heydar Aliyev, despite the prohibitions imposed by the Soviet power, had great respect for the factors contributing to national spirit. Stressing that Novruz has ancient roots and always lives in the heart of Azerbaijani nation, great leader Heydar Aliyev succeeded in celebrating this holiday at a high level even during the harsh imperial regime. After the restoration of independence, Azerbaijani people began to celebrate Novruz with more solemnity. Novruz is the embodiment of noble traditions, national values, benevolence, love of man and nature. Having overcome all the difficulties, Novruz became a fully-fledged nationwide holiday. In addition to attaching nationwide importance to Novruz, Heydar Aliyev was always next to his people over the holidays, congratulated and called on them to live in unity and accord. By doing so, Heydar Aliyev, who regarded Novruz as the favorite holiday of the Azerbaijani people, also showed the people's great affection to their ancient customs and traditions. The fact that this great holiday associated with nature is celebrated at state level today is also a manifestation of deep respect for the memory of Azerbaijani people's ancestors. It shows a link between the past and present, the conservation of Azerbaijani people's past for the future. 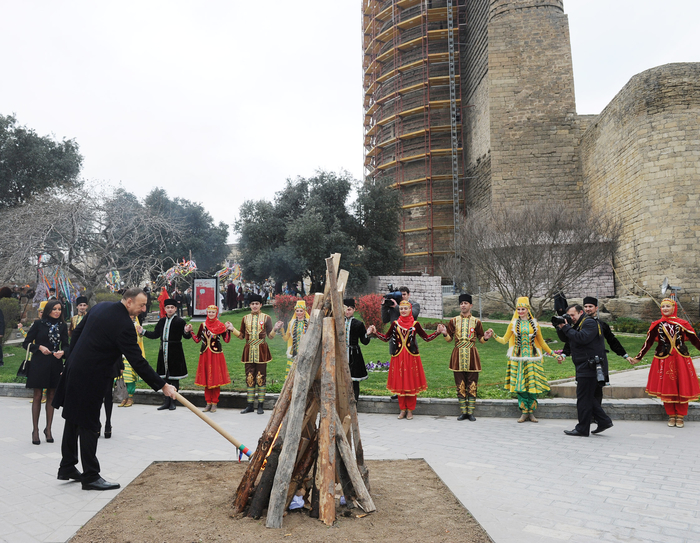 Describing Novruz as the embodiment of Azerbaijani national and spiritual values, President Ilham Aliyev annually participates in celebrations, meets with people, lights a fire in the old square in Baku. 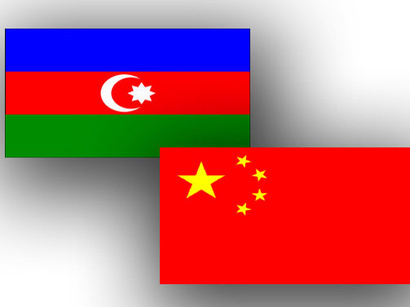 Besides further enhancing the festive mood, this confirms the strong bond between the people and the government. 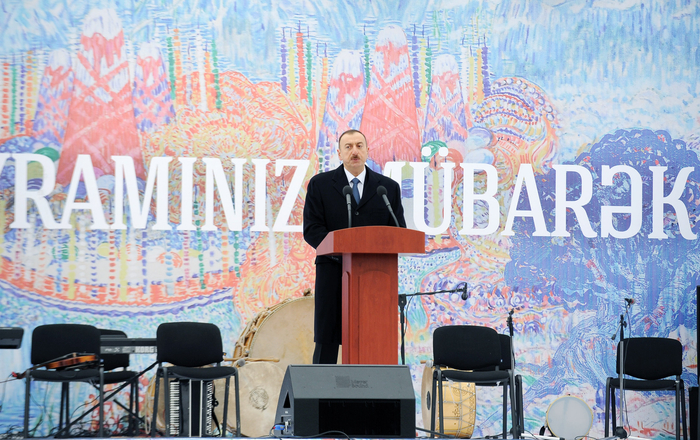 "Novruz instills confidence of the future, awakens the highest senses in our hearts, encourages people to be compassionate, sympathetic and kind," President Ilham Aliyev has said. He stressed that this festival also urges people to be creative. Thanks to the efforts of First Lady and President of the Heydar Aliyev Foundation Mehriban Aliyeva, the favorite holiday of Azerbaijani people has been included in the UNESCO List of Intangible Cultural Heritage, while on 23 February 2010 the UN General Assembly declared 21 March as the International Day of Novruz. 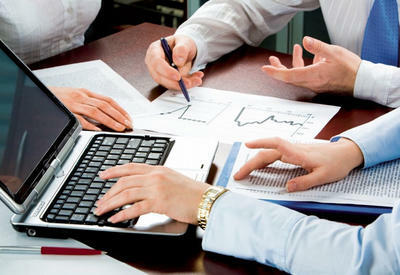 This project was implemented at the initiative of the Azerbaijani state. Azerbaijan is embracing Novruz in a completely different appearance. The extensive improvement work under way in the capital and districts is in harmony with the renewal of nature. The improvement and overall creative work under way around us are further evidence that Azerbaijan is on the path of growth and progress. The fact that this work is carried out with preservation of antiquity and historicity and with the application of contemporary standards shows the attention Azerbaijan has been paying to the past. 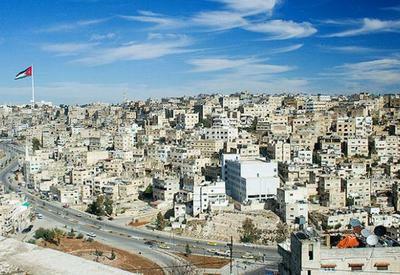 The focus of the economic and social policies on improving people's lives bolsters the confidence in the future. President Ilham Aliyev, his wife Mehriban Aliyeva and vice president of the Heydar Aliyev Foundation Leyla Aliyeva have arrived at the square in front of the Maiden Tower. Thousands of city residents and guests of the capital who had gathered in the square warmly welcomed the President and his wife. Children dressed in national costume presented the President and his wife with a tray filled with various traditional sweats and congratulated President Aliyev and Mehriban Aliyeva. Warriors carrying swords and shields reminiscent of our ancient history stood on the walls of the Old City and in the square. Dada Gorgud gave his blessing and expressed hope for the spring holiday to bring abundance to Azerbaijani people. Children dressed in national costumes danced in the square. 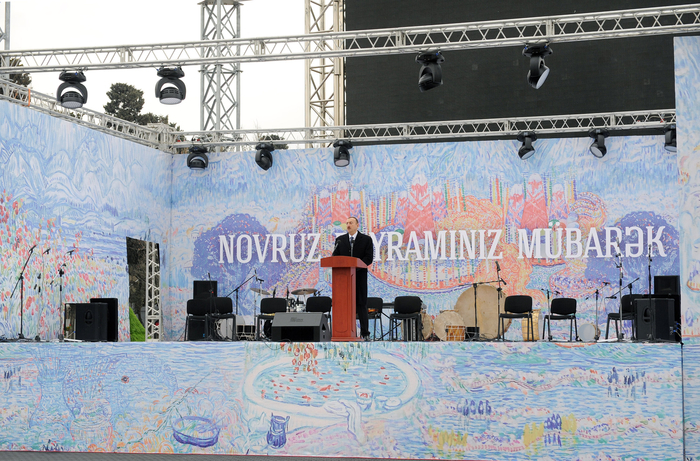 Artists sang songs about spring and Azerbaijan and the holiday atmosphere raised people`s spirits. 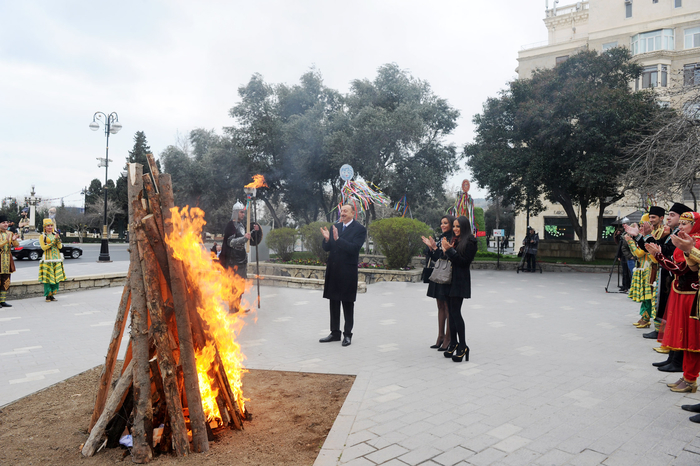 President Ilham Aliyev started the Novruz bonfire. The head of state delivered a speech on the holiday occasion. Then the President and his wife visited the National Seaside Park. President Ilham Aliyev and his wife Mehriban Aliyeva met with the key characters of Novruz - Kosa and Kechal, who congratulated the President and his wife on the holiday and competed with the Head of State in egg breaking. The Oriental bazaar organized at the National Park lent a special touch to the festivities, as handicraft items made in different parts of the country were demonstrated there. Young athletes wrestled on a mat near-by, while strongmen demonstrated their skills. 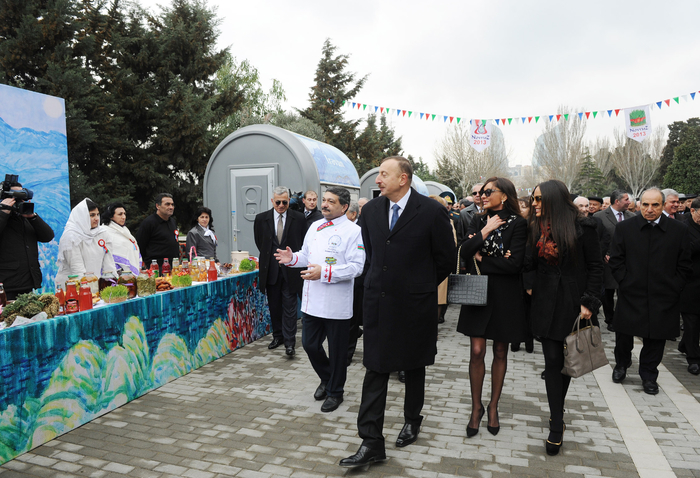 President Ilham Aliyev, First Lady Mehriban Aliyeva and other participants in the festivities watched these scenes with interest and reviewed samples of ancient handicrafts. The Head of State and the First Lady also toured an exhibition of products grown on prolific Azerbaijani soil. The President of Azerbaijan and his wife tried the shish kebabs cooked on a brazier. Various sweets, the symbols of Novruz, were also on display at a ceremony demonstrating ancient folk crafts. President Ilham Aliyev and Mehriban Aliyeva had tea with traditional festive treats. The oriental bazaar organized in the National Park displayed food products grown and produced in various parts of Azerbaijan. 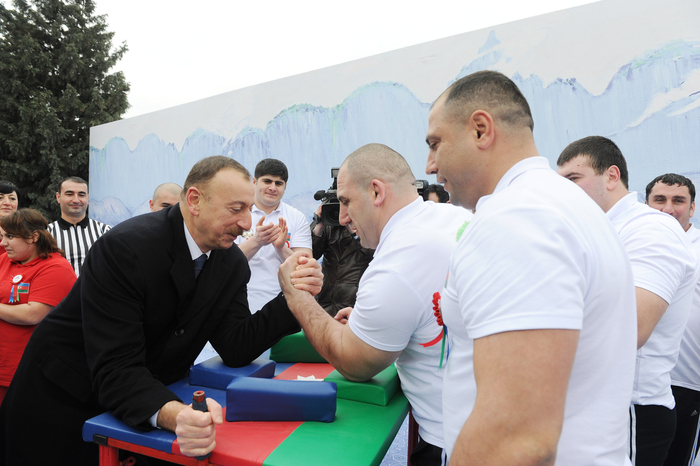 The crowd keenly watched the performance by members of the Armwrestling Federation of Azerbaijan. Great interest was also aroused by traditional Novruz dishes brought from different regions of Azerbaijan. Also attending the festivities on the occasion of Novruz were Prime Minister Artur Rasizade, Chief of the Presidential Administration Ramiz Mehdiyev and other officials.